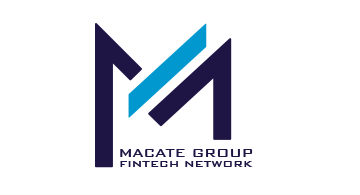 Macate Group Corporation is an American multinational corporation headquartered in Silicon Valley, with its affiliate MiNiT Financial Services, Inc. based in Silicon Valley, New York and London. MiNiT Financial Services specialize in the development and issuance of secure identity and payment solutions based on biometric authentication. MiNiT Financial Services’ primary focus is to provide best-in-class secure devices and applications to protect the privacy and data of all individuals and enterprises worldwide. MiNiT Financial Services mission is to deliver purposeful combinations of advanced technology and unique secure solutions and platforms for hardware, software and internet based products, with quality of design, privacy protection and ease of use for our end-customers. MiNiT Financial Services focuses on building a culture of innovation. Throughout our organization, new ideas and fresh approaches to meet everyday business and consumer challenges are incorporated into everything we do, and improve our responsiveness to market challenges and emerging technology. MiNiT Financial Services’ R&D and FinTech Customer Service divisions are located in San Jose, California, with its business operations in New York and London. Our offices are strategically located around the world to meet the needs of our global customer base.